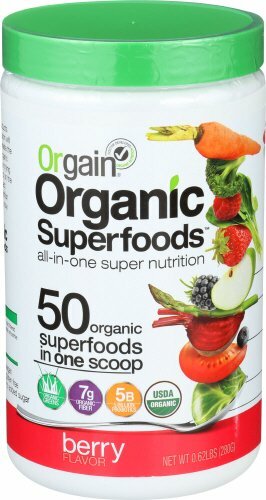 Orgain Organic Berry Superfoods Powder is packed with 50 organic superfoods in every scoop. Providing a healthy mix of organic greens, veggies, fruits, and sprouts that can be conveniently added to water, juice or smoothie. 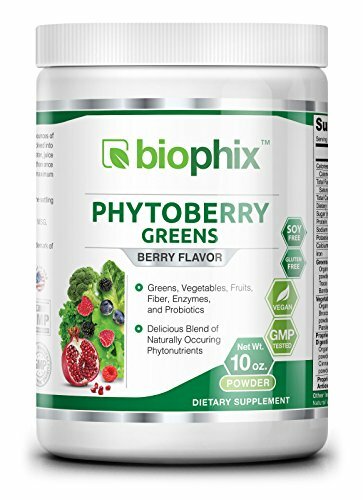 Contains 6 grams of organic fiber, 1 billion clinically proven probiotics, high in antioxidants, dairy free, soy free, USDA organic, carrageenan free, non-GMO, kosher, and no artificial ingredients. Perfect for active lifestyles, overnight oats or smoothies, or an antioxidant boost. Manitoba Harvest Organic Hemp Pro Fiber is packed with 10g Fiber and 8g Protein per 30g serving. 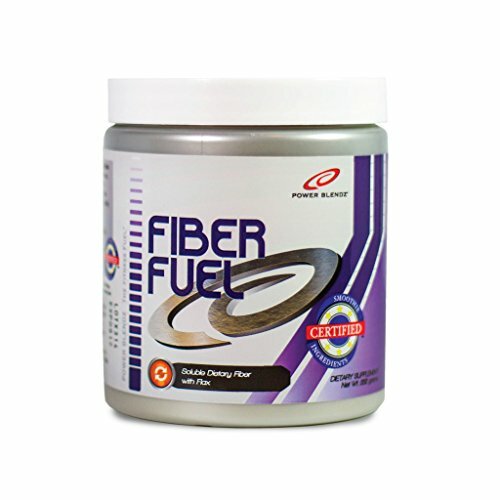 Fiber is an important part of any diet, aiding in digestive health and helping you feel full longer. Containing a rick dark organic fair-trade cocoa and sweetened with coconut palm sugar, the lowest glycemic index sweetener, Dark Chocolate Hemp Protein powder is a guilt-free pleasure. Plus, with Hemp Pro Fiber you are also benefitting from protein and healthy omegas. Blend into smoothies, or add to baking recipes like you would spelt flour. Manitoba Harvest is the world’s largest hemp food manufacturer to grow, make and sell our own line of hemp foods. Our producer partners deliver whole seed directly to our state-of-the-art, BRC (the highest level of food safety and quality certification in the world) and organic certified facility. Hemp Pro Fiber, as with all Manitoba Harvest products, is Non-GMO Project Verified. Manitoba Harvest Organic Hemp Pro Fiber is packed with 13g Fiber per 30g serving. 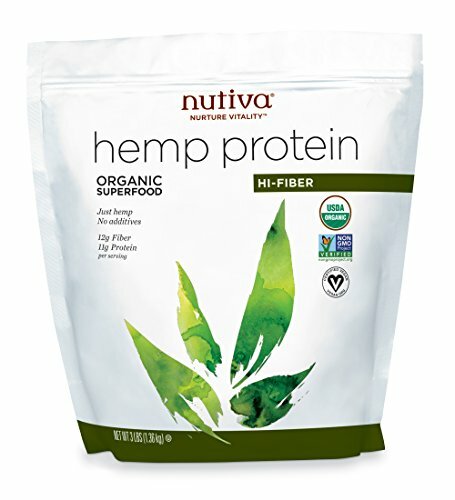 One serving of Hemp Pro Fiber represents 52% of the recommended daily intake (RDI) fiber– greater than a similar serving of Metamucil or bran cereal. 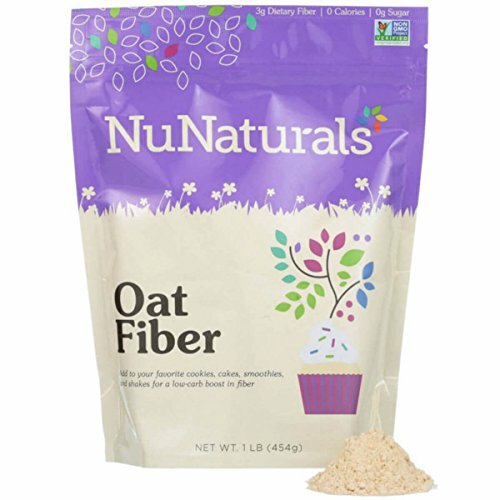 Fiber is an important part of any diet, aiding in digestive health and helping you feel full longer. Plus, with Hemp Pro Fiber you are also benefitting from protein and healthy omegas. Blend into smoothies, or add to baking recipes like you would spelt flour. Made with only organic hemp.. Manitoba Harvest is the world’s largest hemp food manufacturer to grow, make and sell our own line of hemp foods. Our producer partners deliver whole seed directly to our state-of-the-art, BRC (the highest level of food safety and quality certification in the world) and organic certified facility. Hemp Pro Fiber, as with all Manitoba Harvest products, is Non-GMO Project Verified. 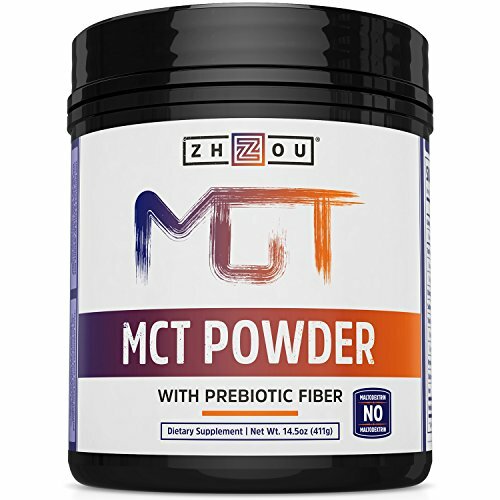 Zhou's MCT Oil Powder with Prebiotic Fiber is the perfect keto friendly fat and fiber source. Now that MCT is available in powder form (and includes prebiotic FIBER! ), it's easier and more delicious than ever to incorporate healthy fats and fiber into your diet throughout the day. Need some ideas? The creamy texture makes it a tasty addition to smoothies, coffee, shakes, salad dressings, sauces and baked treats. We're constantly finding new favorites! You can be confident in Zhou Nutrition's industry-leading quality standards. This product is proudly made in the USA, manufactured under the strict regulations of an FDA-inspected facility, and independently tested to ensure that quality and purity are never compromised. 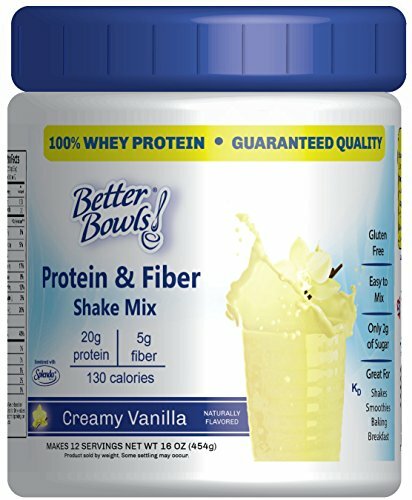 Better Bowls High Protein and Fiber Shake Mixes taste great and provide 28 grams of high quality whey protein with all nine essential amino acids , 5 grams of fiber with no added sugar and only 210 calories when mixed with milk. Make this great tasting product a staple in your diet as part of a nutritious breakfast, lunch or dinner or a snack. They are healthier than the leading brands as well as gluten free with no artificial flavors or dyes. These powders are perfect for a quick shake with any type of milk or water and combined with your favorite fruit and ice makes a delcious creamy rich milkshake. Add this mix for additional flavor , protein and fiber to your breakfast and baked recipes as well, including cereal, muffins, pancakes, cookies and bread ! All our Better Bowls High Protein and Fiber Shake Mixes come with the same 100% quality guarantee that you have enjoyed with our other great tasting nutritionally enhanced sugar free high protein and fiber pudding and gelatin dessert mixes and high fiber drink mixes. Our reformulated Fiber Fuel from Power Blendz now contains 5.5 grams of Soluble Fiber with All Natural Flax, and blends discretely into your smoothie and helps to promote digestive health and keep you feeling fuller for longer. *This statement has not been evaluated by the Food and Drug Administration. This product is non intended to diagnose, treat, cure or prevent any disease. Looking for more Fiber Smoothie similar ideas? Try to explore these searches: Acura Cl Hid, Beaded Copper Pendant, and Satchel Bag Purse Tote. Look at latest related video about Fiber Smoothie. Shopwizion.com is the smartest way for online shopping: compare prices of leading online shops for best deals around the web. Don't miss TOP Fiber Smoothie deals, updated daily.